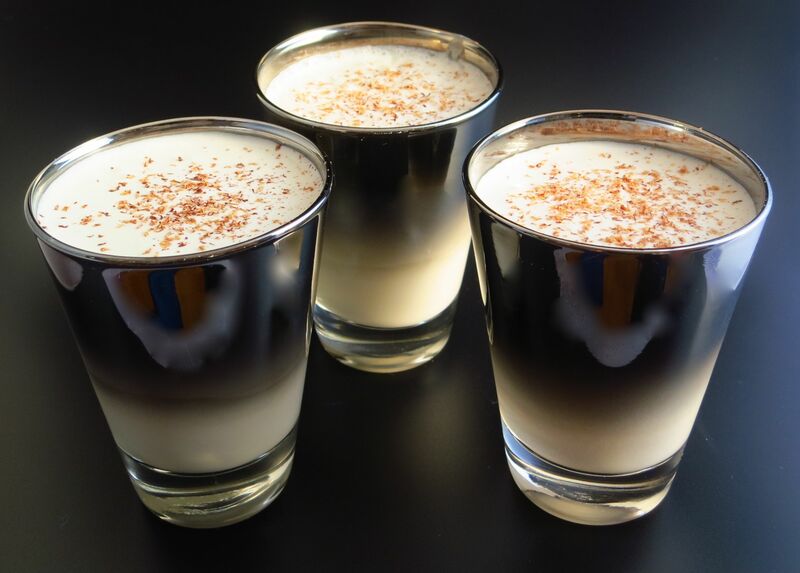 A couple years ago we came across a recipe for aged eggnog from one of our local bars. 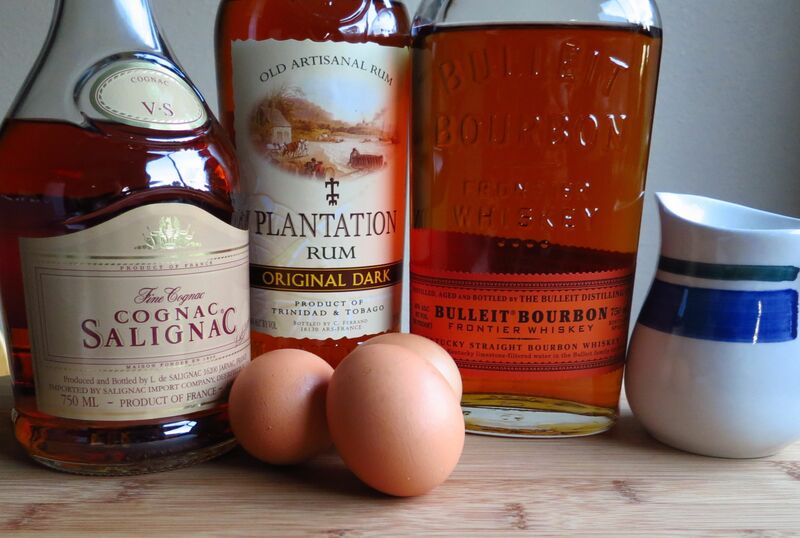 You mix everything together – booze, eggs, dairy – and put it in the fridge for however long. We decided to try it out and see what, if any, difference it made in terms of how long we aged it. Turns out 3 weeks was optimal. Then last year, we came across an article in Cooks Illustrated that suggested that aging just the booze and eggs without dairy and then adding that at serving time was better. Being the nerds that we are, we decided to test it out. Read on to see what we discovered. We started by making one batch using the base recipe from Erik Chapman, and then a second batch with the same recipe but minus the dairy. Both were aged for 3 weeks. 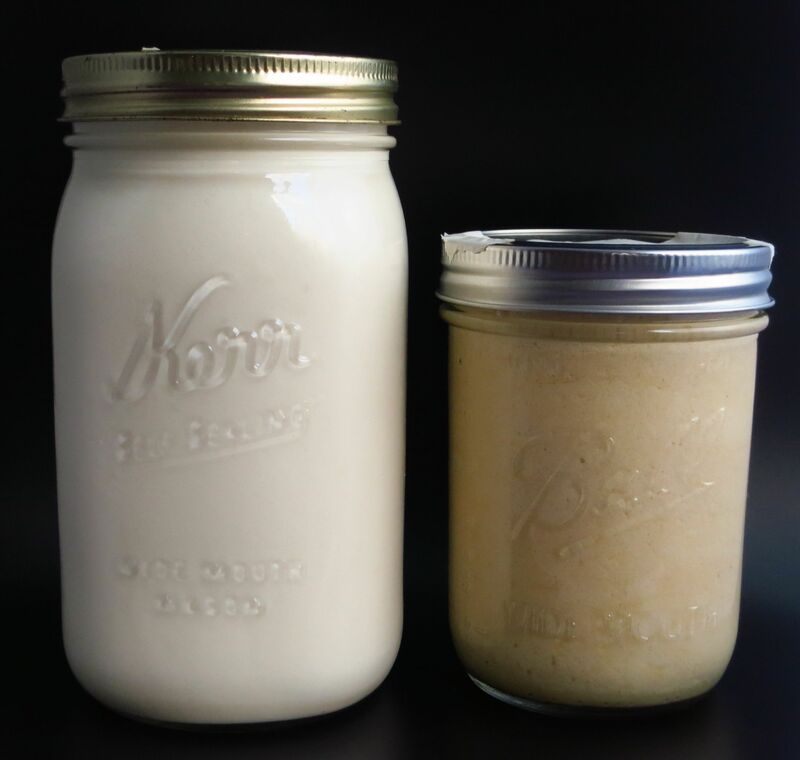 We then split the dairy-free aged batch and gave one the full amount of dairy called for by the recipe and the other just half of that to see what sort of affect that had. We both like our eggnog a little bit stronger so this seemed like a good test to us. 😉 Then we got down to tasting. Nose: Mild cream, little bit of booze, strong nutmeg. Palate: Very creamy head, nice and smooth. Creamy dairy right at the front. Richness of the booze on the mid-palate with lots of sweet caramel-y barrel notes. Finish is nutmeg and spice. Booze is discernable but mild. Palate: Similar flavors to the first, but the body/texture isn’t as nice. More fluffy, not as smooth and creamy. The presence of the booze is just about right balance-wise, but not as well-integrated as the all-ingredients aged version. So not as good as the aged original recipe, but better than the version with the full amount of fresh dairy. Palate: Dairy is very pronounced. Almost hard to drink it’s so fluffy. Like lightly flavored whip cream. Booze is very muted. In our opinions, the aged dairy version was hands down the best of the three. It was more integrated, smoother, and had better flavor all around. The boozier fresh dairy version was ok. It was certainly vastly superior to anything you’d get in a carton at your local store. We found the less boozy fresh dairy version to just be flat and not very interesting. It was basically like drinking lightly whipped cream, which gets cloying fast. So go ahead and add the dairy up front and let it age with the rest. Don’t wait! It’s definitely better and you won’t regret it. This entry was posted in aged rum, cognac and tagged aged eggnog. Bookmark the permalink.